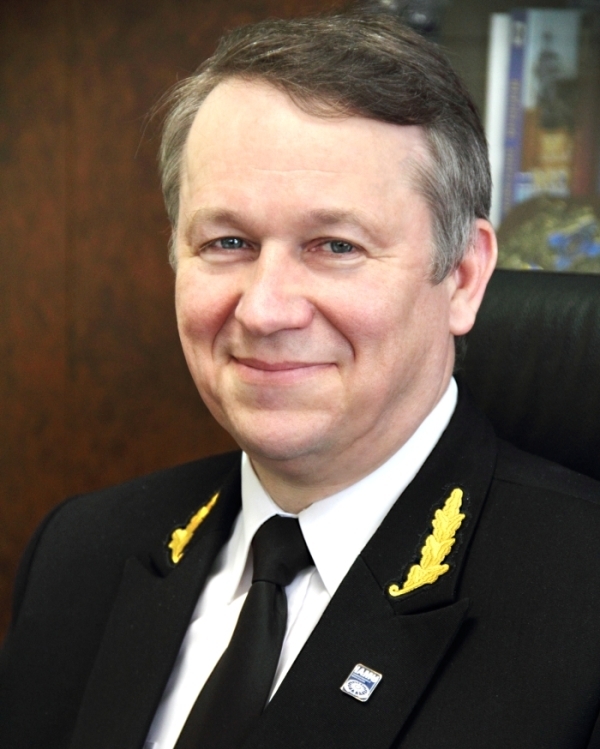 Rector’s welcoming speech – Національний університет "Одеська Морська Академія"
This year National University «Odessa Maritime Academy» marks its 75th anniversary on June 7, 2019. Odessa Maritime Academy is well-known for a long time in the international marine shipping. The glorious history of National University «Odessa Maritime Academy» dated back to 1944 when Odessa Higher Marine School was formed. During the process of its development it was reorganized into Odessa Higher Engineering Marine School, Odessa State Maritime Academy, Odessa National Maritime Academy and National University «Odessa Maritime Academy». Throughout the course of history, the Academy has provided high professionalism of scientific-pedagogical personnel, compliance with all international and national standards of education and cadets’ training. National University «Odessa Maritime Academy» is a leading educational, scientific and methodical centre, which defines the strategy and the ways of the maritime education development in Ukraine. The main objective of the Academy is to ensure graduates’ competitiveness in the world labour market. Ukraine is among five leaders regarding the number of officers in the world merchant fleet owing to its graduates, who work at hundreds of shipping companies all over the world. During the years of Independence of Ukraine, National University «Odessa Maritime Academy» has branched out new specialities and created the following subdivisions: Azov Maritime Institute (the city of Mariupol), Danube Institute (the city of Izmail), the Seafaring College of Technical Fleet (the city of Odessa), Maritime College named after O.I. Marinesko (the city of Odessa) and Naval Institute (the city of Odessa). 10500 cadets and students of National University «Odessa Maritime Academy» including its subdivisions study at the University and thousands of seafarers undergo refresher courses. National University «Odessa Maritime Academy» is an active member of the International Association of Maritime Universities (IAMU), the Black Sea Association of Maritime Institutions (BSAMI). The University’s representatives regularly participate in the work of Assemblies, Committees and Sub-Committees of the International Maritime Organization (IMO) as part of the official delegations of Ukraine and the International Association of Maritime Universities. The inspection mission of the European Maritime Safety Agency (EMSA) took place in National University «Odessa Maritime Academy» from 17 till 18 April, 2018. The EMSA inspectors noted a high level of programmes and courses according to which the training of seafarers is carried out at the Academy, a high-quality certification system, a high level of special equipment and simulators as well as high qualifications of the Academy’s teaching staff and instructors. In 2018, the representatives of the accreditation commission of the Institute of Marine Engineering, Science and Technology (ImarEST) successfully accredited engineering specialities of NU «ОМА». In July 2018 according to the accreditation’s results the Academy was provided with an accreditation certificates for 4 bachelor’s degree study programs and for 4 master’s degree study programs in compliance with the requirements of the highest degree «Chartered Engineer» in the United Kingdom. The International Forum on Seafarers’ Education, Training and Crewing has already become traditional. It is held by National University «Odessa Maritime Academy» jointly with the Exhibition centre «Odessa Home» at the premises of Concert and Exhibition Complex of Odessa Sea Port. About 150 representatives from more than 70 famous companies in the international shipping and organisations from almost 20 countries around the world take part in this event every year. training and computer equipment for Naval Institute. The University has modern facilities and the up-to-date maritime simulators, methodological support and staff capability to train seafaring personnel in compliance with the requirements of the International Convention on Standards of Training, Certification and Watchkeeping for Seafarers (STCW), 1978 taking into account the 2010 Manila amendments. Bachelor curricula and programmes include all types of mandatory training for the issue of the first Officer CoC, Master’s degree programs provide the opportunity, with appropriate sea service, to occupy senior officer positions (Captain, Chief Engineer) on ships. 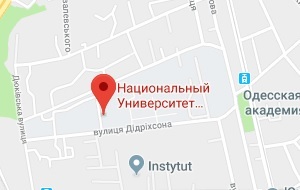 The Institute of Postgraduate Education «Training and Certifying Centre of Seafarers» created conditions for effective retraining of seafarers. Training programmes are accredited by the Nautical Institute of Great Britain (NI) and the Institute of Marine Engineering, Science and Technology (IMarEST). The International Maritime Organization (IMO) and the European Maritime Safety Agency (EMSA) approved Training and Certification System for Seafarers, which allows the Academy’s graduates to work in various foreign companies, as well as on ships flying the flags of the European Union. Availability of scientific schools, post-graduate studies, specialized scientific council for thesis defence, and the Academy’s collection of research papers provide training of highly qualified staff such as Doctors of Philosophy and Doctors of Science. Quality Management System of Academy is certified in accordance with the requirements of the International Standard ISO 9001:2015 by Bureau Veritas Certification. QMS certification sphere includes the following educational activities at various educational and scientific levels; methodical, scientific, scientific-technical and innovative activities; practical training of seafarers and employment promotion. A campus, a canteen, a buffet, a sport complex, a modern medical centre, its own gas boiler house, which are located in the territory of the cadet campus are at the cadets service. All conditions for physical education and sports such as: an Olympic standard swimming pool; fitness halls and gyms, a mini-stadium, a water station on the sea-shore were created in National University «Odessa Maritime Academy». In 2018, 822 the Academy’s cadets (excluding structural units and correspondence cadets) underwent on-board training on ships of 132 foreign companies. Every year, more and more shipping companies in the world are giving preference to the graduates of our Academy. In total, for 2018, the Academy issued 3100 diplomas of various levels, from a Junior Specialist to Master’s degree. Obtained diploma at NU «ОМА» provides the graduates with broad opportunities for career growth, both in the fleet and on shore, in enterprises and companies of the maritime industry. On behalf of the Academy’s administration, I congratulate all graduates, cadets, staff and friends of the Academy on the 75th anniversary of NU «ОМА»! A fair wind and seven feet under the keel!